Ararat Rural City Council has received $100,000 from the Victorian Government towards the Bill Waterson Skate Park redevelopment. Funding has been secured through the Community Sports Infrastructure Fund, a program that helps provide high quality, accessible community sport and recreation facilities across Victoria. The Victorian Government’s support of the $430,000 project adds to the $220,000 contribution from Ararat Rural City Council and $110,000 from the Ararat Skate Park Committee – made up of donations, fundraising, and pledges from local community groups and businesses, including Ararat Community Enterprise, Pacific Hydro, Rotary and Grampians YMCA. The announcement coincides with confirmation that Independent Concrete Constructions has successfully tendered to build the expansion. The company has constructed skate parks at locations such as Deer Park and Horsham. Ararat Rural City Council Chief Executive Officer, Allan Bawden said after many years of lobbying, stakeholders were about to see their hard work come to fruition. “This is a project that Council identified as a priority during 2017,” he said. Skate Park Committee Member John Cranstoun said a lot of dedicated people had worked tirelessly to reach this point of the project. “Our fundraising efforts, the community interest, and the time we put into things like planning and design, made a strong case for Council to support us,” he said. “We are really happy that the State Government has seen what we are doing and come on board as well". 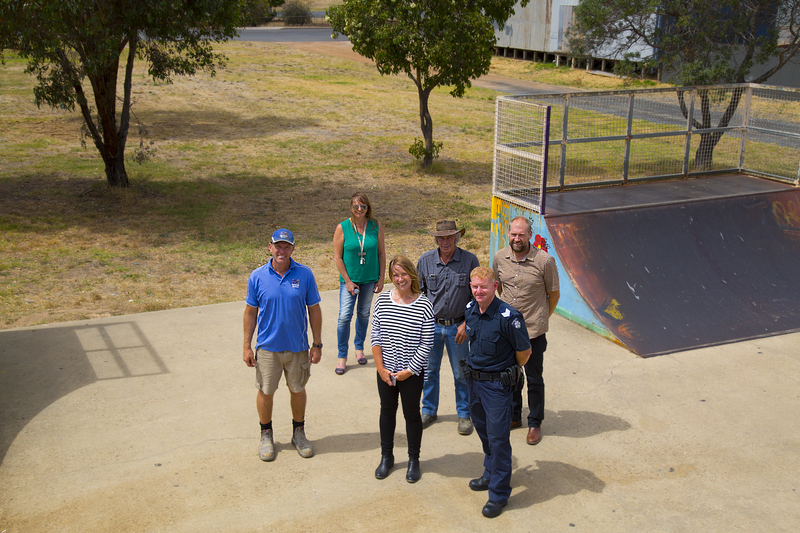 Council assumed management responsibility for the Bill Waterston Skate Park in October 2016 and has worked with the Ararat Skate Park Committed to deliver the project. Council, Skate Park Community representatives and the contractors had preliminary site and will soon finalise a starting date for construction.